There are six pages total, each page has six copies of each principle on a ticket. See preview to read how the tickets are designed. I also apply these principles when designing class expectations with students and when reinforcing positive behavior so that they see the principles applied to everything they do in class. 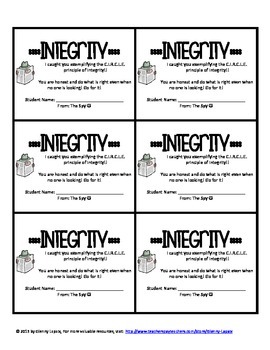 I usually give these tickets to students when I notice they are exemplifying one of the principles during independent work, such as during learning centers. Since I usually do Guided Reading while students work independently, it is important that I can focus on my Guided Reading group with very little behavior issues by the rest of the class. 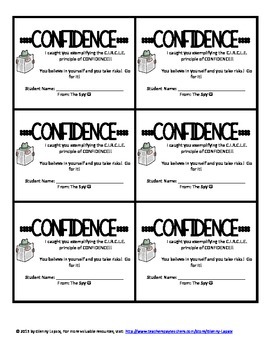 These tickets help enforce positive behavior and helps students stay on track with the C.I.R.C.L.E. principles. As a reward, I usually give students one piece of candy for each ticket they have collected every 2 weeks.